To many observers, Israel’s relationship with the United States reached a nadir under President Barack Obama. Aside from what appeared to be a shared mutual dislike between the president and Prime Minister Benjamin Netanyahu, the Obama administration’s support for the Iran nuclear deal further angered the Israeli government. Netanyahu also accused Obama of a “shameful ambush” when the U.S. allowed the United Nations Security Council to condemn Israeli settlements in the West Bank in December. At that time, Netanyahu said he was looking forward to working with President-elect Trump. But since taking office, Trump’s administration has reiterated support for a two-state solution and criticized settlement expansion. Last Thursday, the White House warned Israel to cease making “unilateral” settlement announcements that could undermine efforts to achieve peace with the Palestinians. 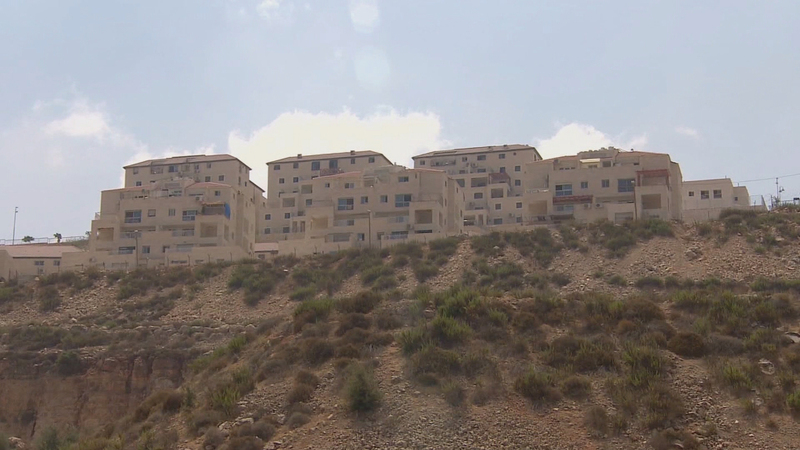 That followed an Israeli announcement that it would build 5,500 more houses for settlers. A senior Trump administration official told The Jerusalem Post that Trump is keen to end the Israeli-Palestinian conflict. Joining Phil Ponce to discuss the prospects of advancing the peace process under a Trump presidency is Aviv Ezra, the Consul General of Israel to the Midwest, who is based in Chicago. Prior to his current position, Ezra helped manage Israel’s relationship with the United States Congress as director for congressional affairs at the Israeli Foreign Ministry in Jerusalem and as a counselor for congressional affairs at the Israeli embassy in Washington D.C.
Jan. 3: Just what does a two-state solution entail, and why has it been so difficult to achieve? We speak with a local expert on the Arab-Israeli conflict. Feb. 3, 2015: Roey Gilad, Consul General of Israel to the Midwest, joins Chicago Tonight to discuss the elections in Israel, and Prime Minister Benjamin Netanyahu's upcoming visit to the U.S. Congress.